You’ll find a “lot” You’ll like at… Springwood Lake Camp Club! 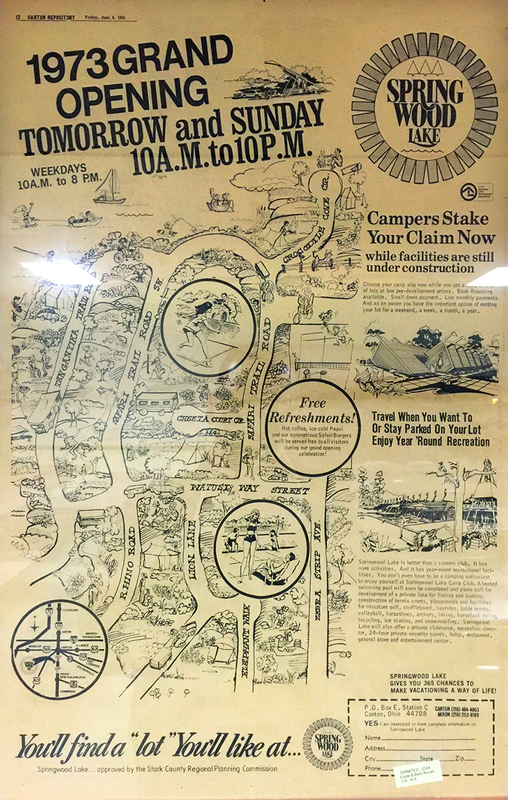 The advertisement in the Friday, June 8, 1973 Canton Repository tells of Springwood Lake Camp Club’s grand opening the next day. Much of the content still rings true: Springwood IS better than a country club! 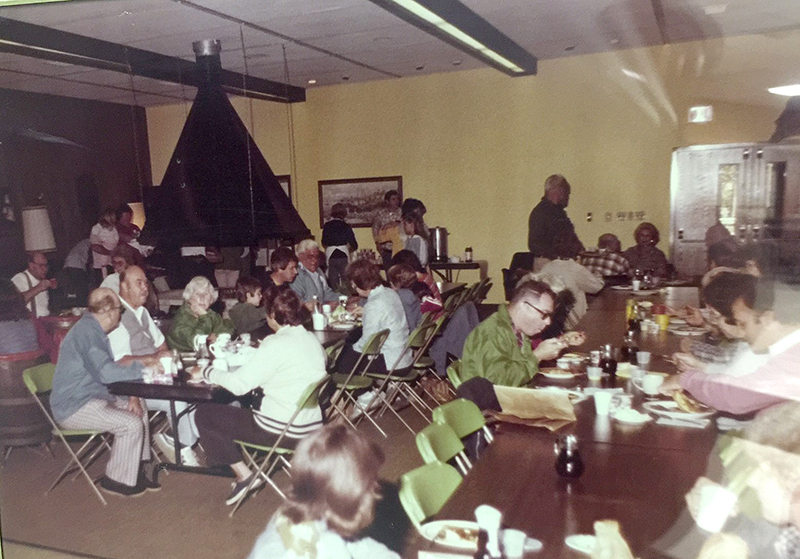 Early 70’s campers enjoying a meal in the Lodge. Of course, the facilities have been completed and even upgraded, and you won’t find pre-development prices anymore – but you WILL find popular and modern activities and events with a focus on family. YES, you’ll find a “lot” you’ll like at Springwood Lake Camp Club! Special thanks to Clyde and Barb Roush (Lot #15) for their donation of the advertisement. Campers Stake Your Claim Now while facilities are still under construction. Choose your camp site now while you get a preview of lots at low pre-development prices. Bank financing available. Small down payment. Low monthly payments. And as an owner you have the important option of renting your lot for a weekend, a week, a month, a year. Springwood Lake is better than a country club. It has more activities. And it has year-round recreational facilities. 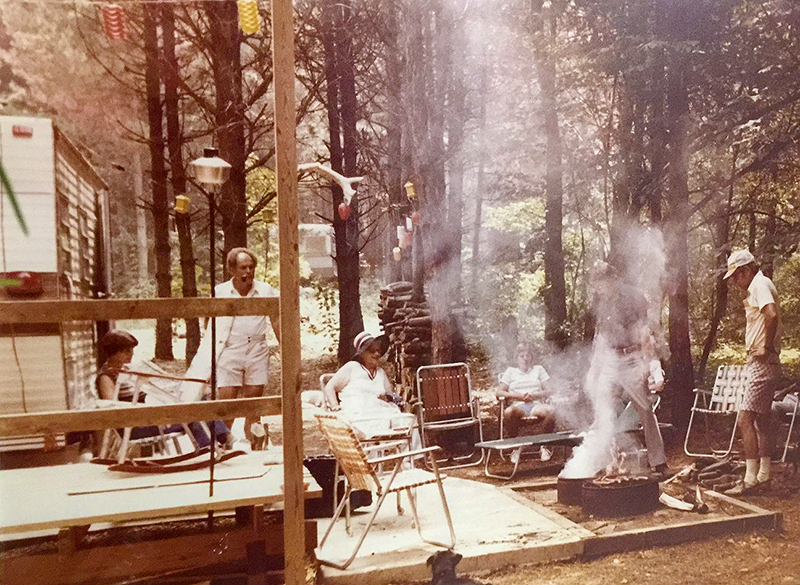 You don’t even have to be a camping enthusiast to enjoy yourself at Springwood Lake Camp Club. A heated swimming pool will soon be completed and plans call for development of a private lake for fishing and boating, construction of tennis courts, playgrounds and facilities for miniature golf, shuffleboard, hayrides, table tennis, volleyball, horseshoes, archery, hiking, horseback riding, bicycling, ice skating and snowmobiling. Springwood Lake will also offer a private clubhouse, recreational director, 24-hour private security guards, lodge, restaurant, general store and entertainment center. You’ll find a “lot” You’ll like at Springwood Lake!